Frank completed his physiotherapy degree in 1985 and worked at the Warrnambool Base Hospital for one year. He commenced work in private practice in 1987, working in Dandenong from 1987-91. During this time, Frank undertook further study, completing the Musculoskeletal Diploma in 1990. 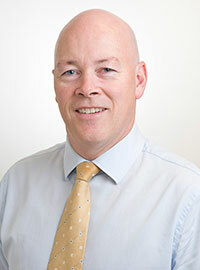 He joined the Berwick practice in 1990, and became a partner at Berwick Physiotherapy in 1992. Frank takes particular interest in the management of headaches and neck pain. His skill in managing complex cervical pain was reinforced by completion of his Masters in Musculoskeletal Physiotherapy in 2000, specifically headaches of cervical spine origin. Frank also works extensively in the management of knee pain, particularly knee rehabilitation post knee surgery. Frank works at both the Berwick and Lakeside practices. He is a keen golfer, and as a result of this has developed an interest in the management of golfing injuries. He is an Essendon supporter and looks forward to the team performing well this season.